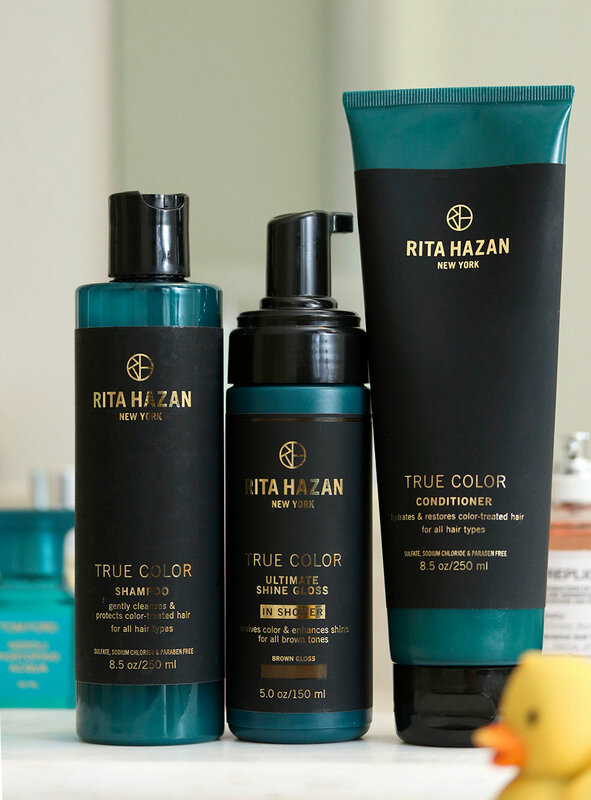 Rita Hazan is arguably the queen of celebrity hair color. She does Beyonce’s hair, J. Lo’s hair, Jessica Simpson’s hair… Need I say more? She’s unarguably the queen of my roots! I’ve bought her Root Touch Up Concealer more times than I’d like to count during more Sephora VIB sales than I’d like to admit. It’s one of my ride-or-dies. I didn’t know until recently that she also has a small hair care line with shampoo, conditioner, hair glosses (they add shine and temporary color) and a couple of hair treatments, and everything’s focused on retaining and maintaining color in color-treated hair. Being the scent junkie that I am, I immediately went into horizontal fainting couch mode after I started using her True Color Shampoo ($26), Ultimate Color Gloss in Brown ($26) and True Color Hydrating Conditioner ($26), because everything smells exactly like Estée Lauder’s Private Collection Tuberose Gardenia, also known as “my Hawaiian gardenia floral fantasy come true,” and that scent lingers in my locks for days. I’ve been using all three products for about a month now, starting immediately after the last time my friend Alis colored my hair, and my mane has remained really dark and shiny. I love it. I’m holding on for dear life till tomorrow afternoon, which is when my roots will finally be obliterated into…oblivion (for at least six weeks!) by my friend and hair stylist Alis, THANK YE GODS! 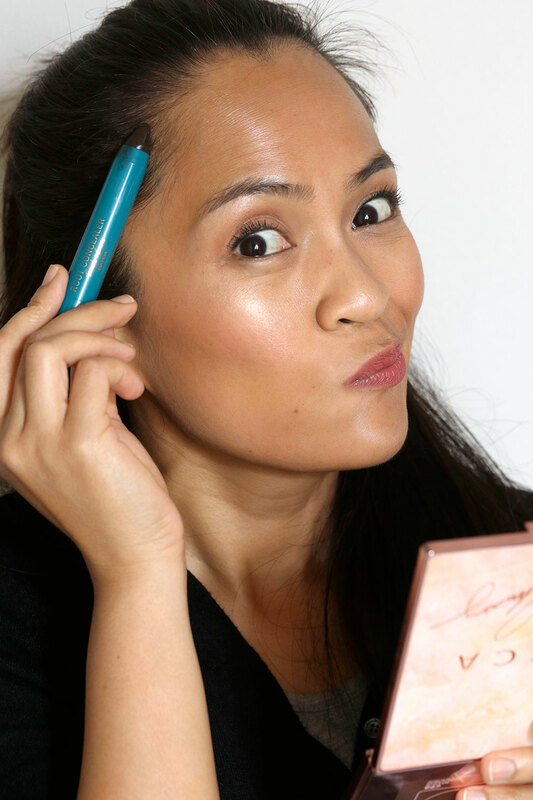 It’s getting harder to hide those little gray baby hairs, which is why I’m living for the Rita Hazan Root Concealer Touch-Up Stick. It’s a chubby, waxy twist-up crayon for coloring in gray hairs and roots in those hard-to-reach places on your mug (and you can also use it on on your brows). All I do is run the pencil back and forth a few times on the hairs I wanna cover. The pencil deposits a layer of product that feels like a thin wax, and then I comb the hairs with the spoolie that comes with it. The product covers everything, and it stays put till I wash it out. The sticks are $25 each at Sephora and Ulta and come in Dark Brown/Black, which is the shade I use, Light Brown and Dark Blonde. I just gotta hang on for one more night… Come on, Karen, you can do it! LOL!